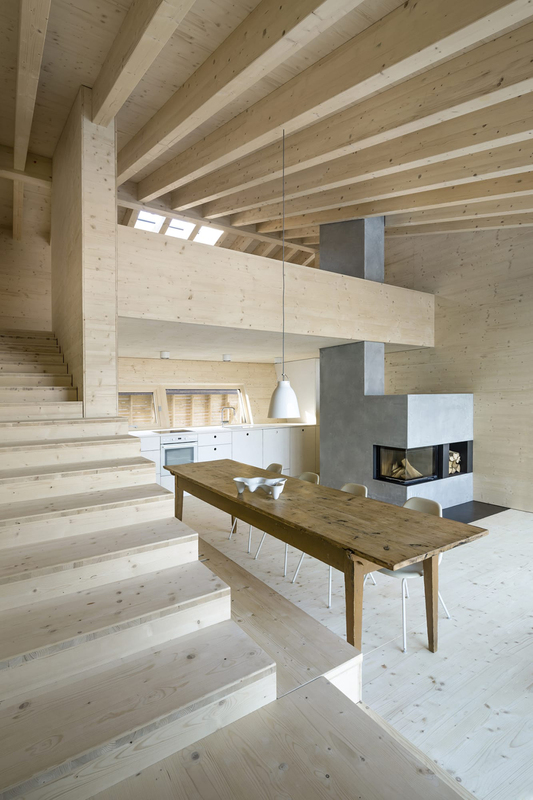 With a shallow gabled roof and simple form, Haus P by Yonder starts with a traditional Allgäu home. 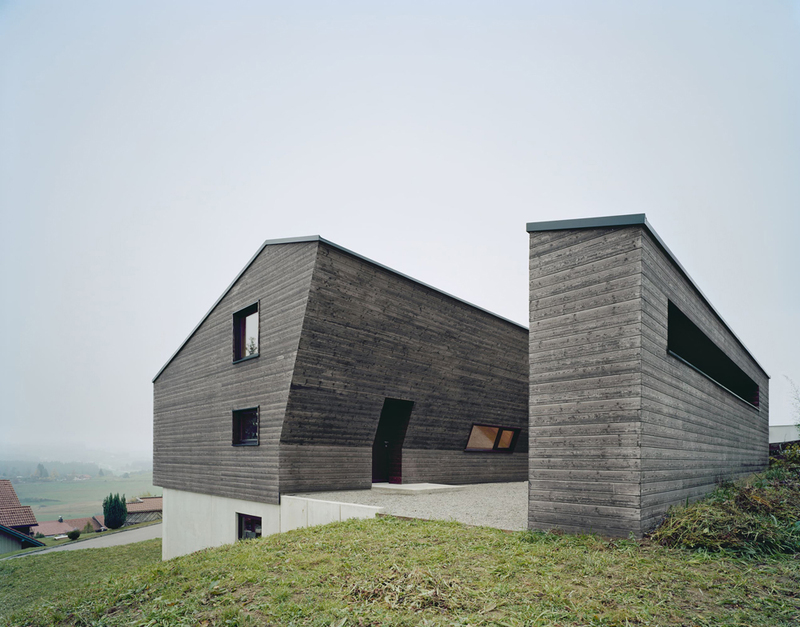 It takes a contemporary turn by slicing a section out of the middle. 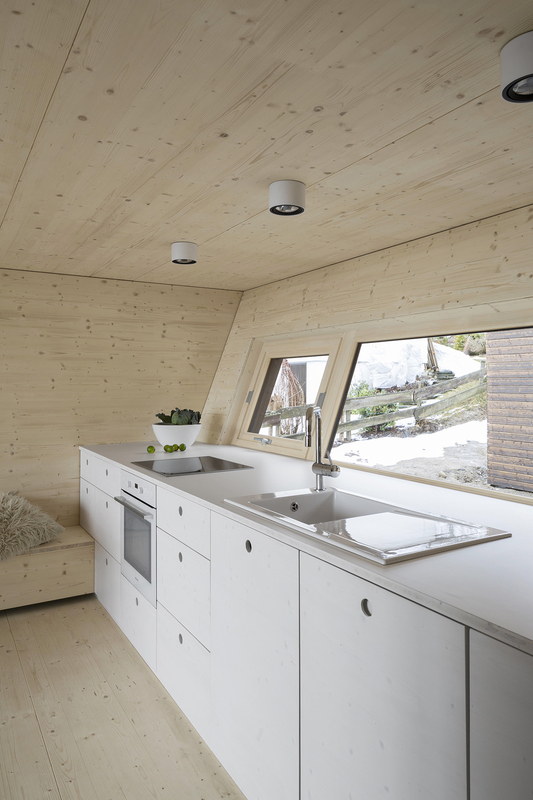 This modification transforms the classic silhouette into two abstract volumes with one functioning as a shed and the other as a residence. 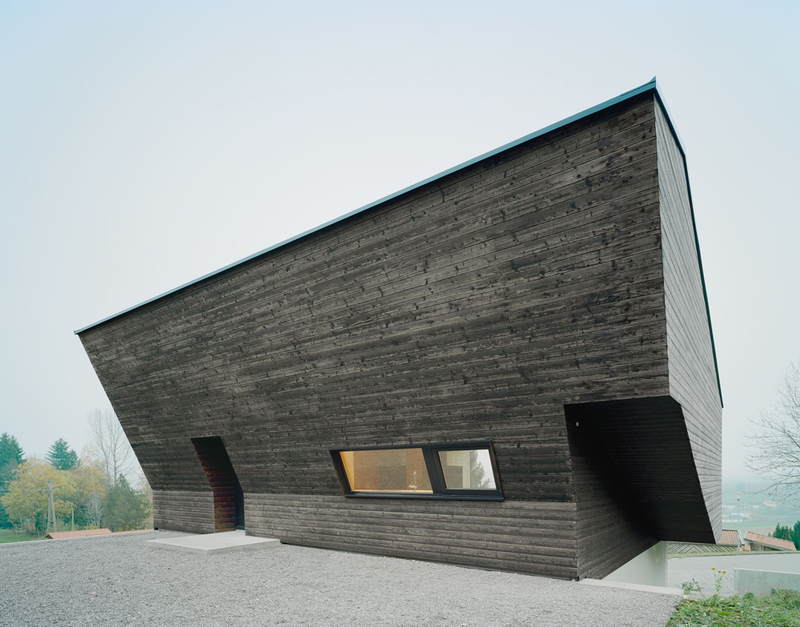 Both exteriors are clad in charred timber, a complement to the southern Germany landscape. 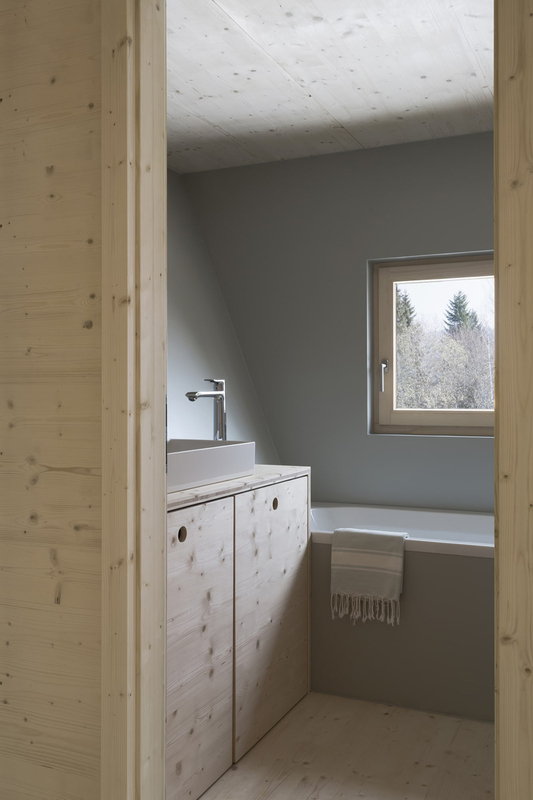 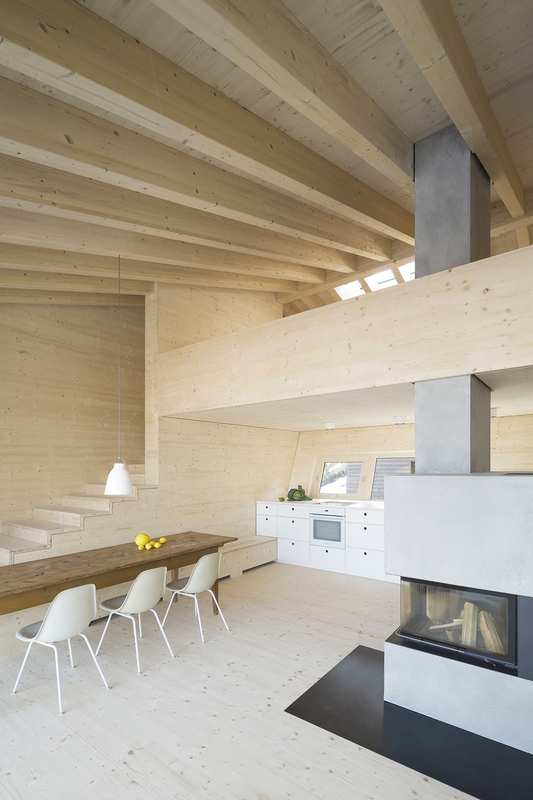 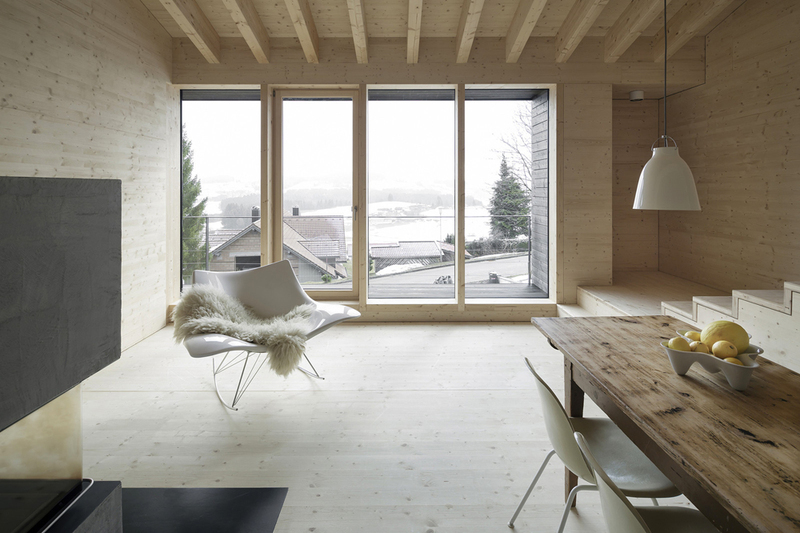 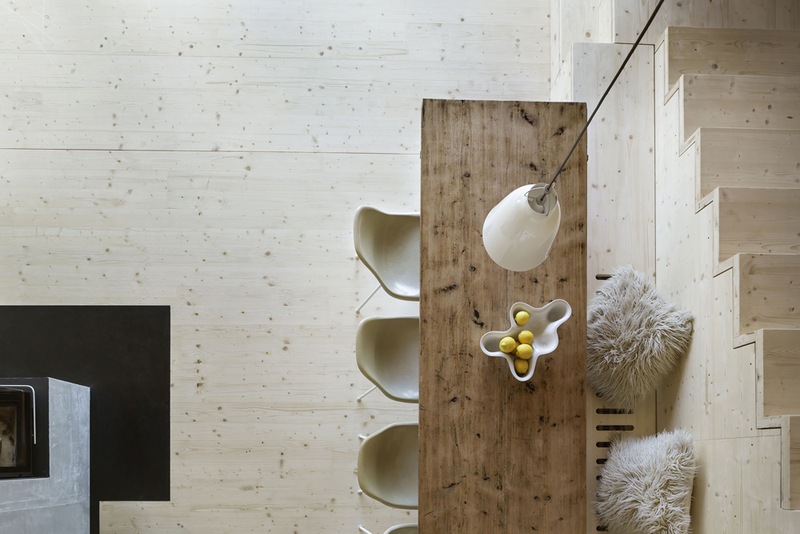 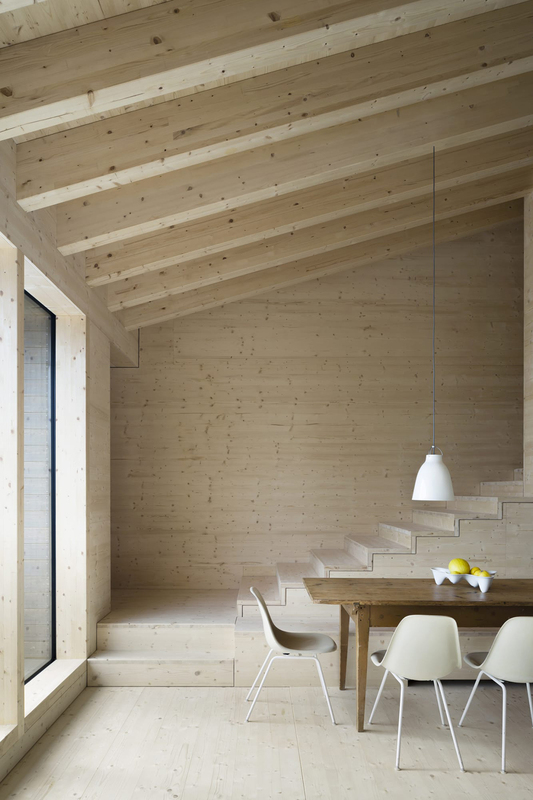 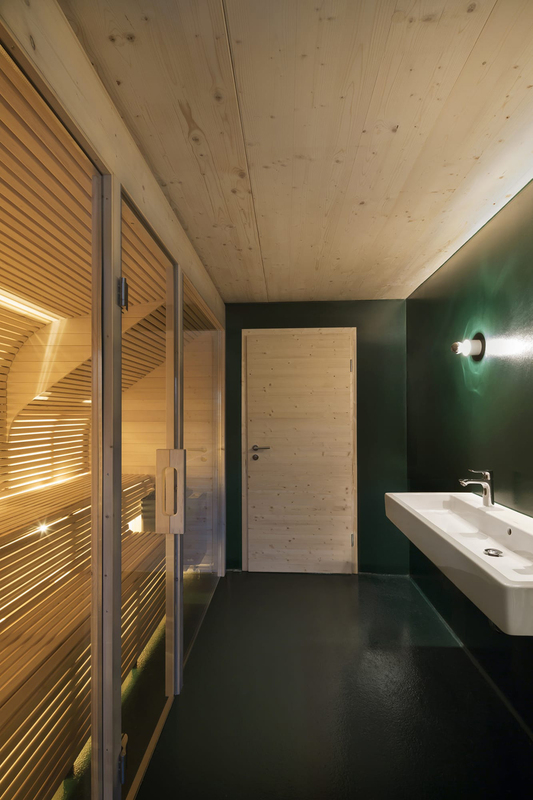 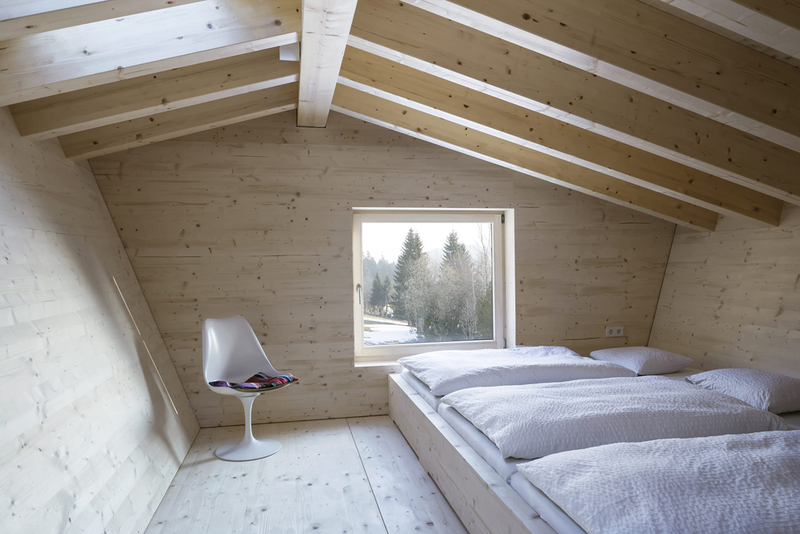 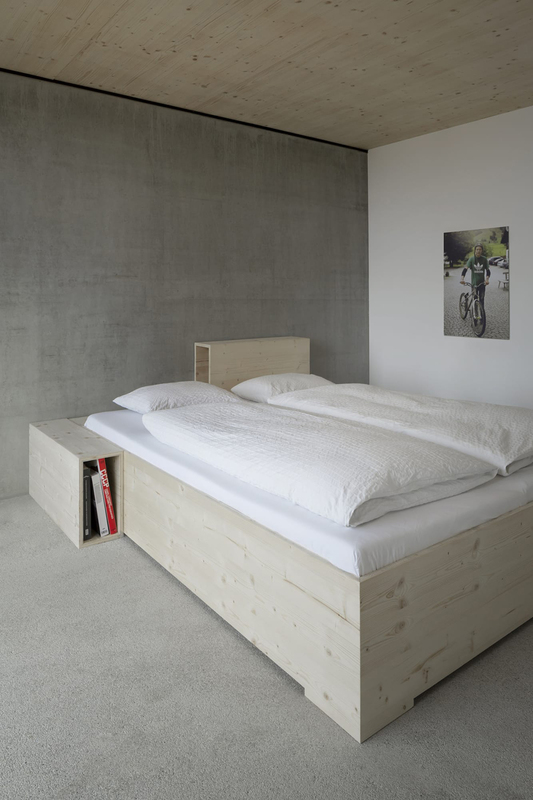 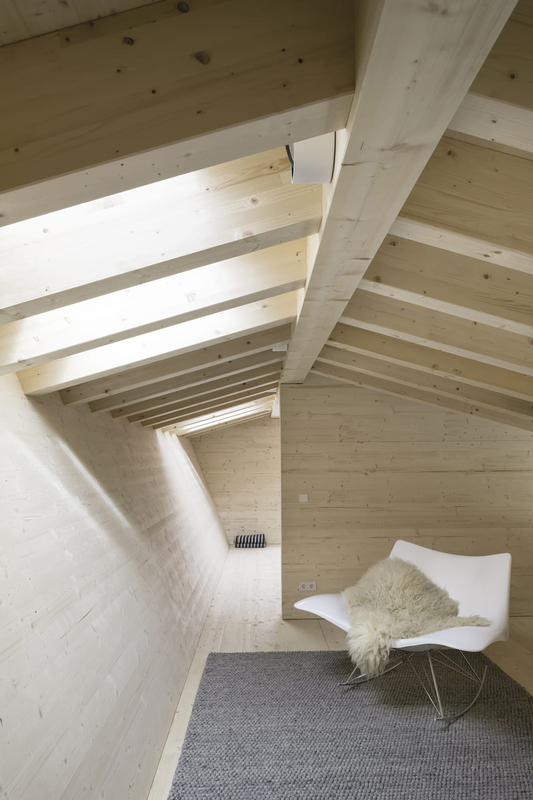 Internally, pale wood planks line every wall, ceiling, and floor creating a warm minimalist shell. 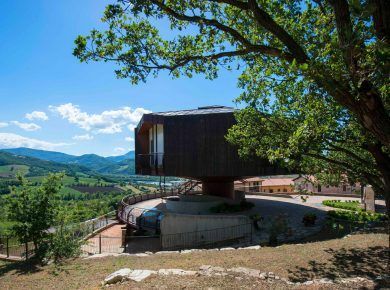 The only exceptions are the concrete fireplace and the floor-to-ceiling windows that allow in the views of the surrounding verdant mountainsides. 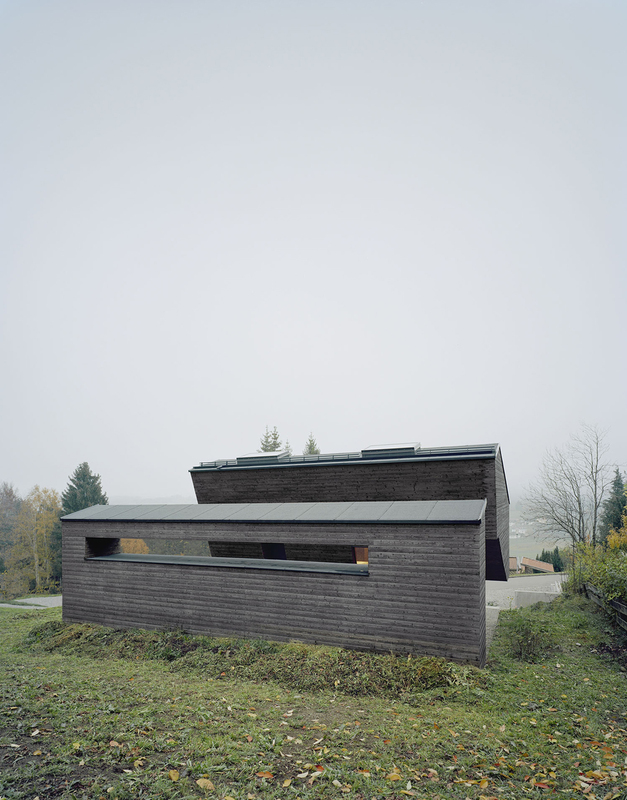 But still there are many houses with a stuning view: Topanga in California, Red Rock Residence in Arizona or modern house in Suzaki.